Thom Yorke - Suspiria (Music for the Luca Guadagnino Film). Vinyl LP, CD. Bleep. 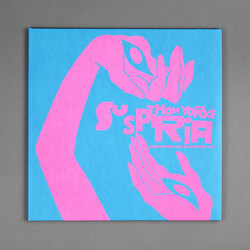 XL Recordings present 'Suspiria (Music for the Luca Guadagnino Film)', the highly anticipated soundtrack from the Radiohead frontman and solo artist in his own right, Thom Yorke. Suspiria executes a knife-edged mix of instrumental score work alongside more traditional song structures written specifically for Luca Guadagnino’s reimagining of the 1977 Dario Argento horror classic. 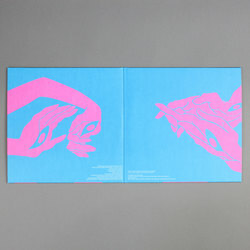 Consisting of 25 original compositions written by Thom Yorke and featuring guest spots from the London Contemporary Orchestra and Choir, Noah Yorke and Pasha Mansurov, Suspiria travels through a range of Krautrock-inspired modular synth tones to create a vivid audio landscape that when listened to in its entirety, perfectly resonates with Luca Guadagnino's reimagining of the film's setting within late 1970s Berlin. From the melancholic ballads, 'Suspirium' and the Gothic chorus of 'Sabbath Incantation' through the Kid A magnetic electronics of 'A Light Green' and the blurred recollections of 'The Universe is Indifferent', the way in which he excavates the films horrific context through a range of sounds and styles that borrow from his past recordings, yet open the door wide to new influences is outstanding. This means that both newcomers and long-standing fans of his work and albums such as The Eraser and Tomorrow's Modern Boxes will find much here to cherish. Scoring a horror film presented Thom Yorke with altogether new challenges and opportunities , ensuring that Suspiria will sit consummately alongside his previous work, as well as a truly significant stand-alone recording within his canon to date. We will leave it to Thom Yorke himself to explain his process in words better than anyone else can: “It was a sort of freedom I’d not had before; I’m not working in the format of a song or arrangement, I’m just exploring”.